There’s an old adage in farming: half of the trick to success in grain marketing is planting the right crop in the first place. To that end, we can look at new-crop production contracting opportunities to guide seeding decisions. Unfortunately for organic growers, these are less common than in the conventional grain business. Production contracts can help create stability and liquidity and a guaranteed market for the farmer, and to prevent a speculative, dramatic oversupply. Organic lentils are one crop to watch carefully heading into spring. Current pricing may be vulnerable. The main bearish factor is overseas production. Lentil acres in Kazakhstan and the Ukraine have been ramping up in recent years in response to high prices and promotion of pulse crops globally. Organic yields apparently aren’t that much less than conventional. The spreads here for organic over conventional are wider for lentils than for other crops, and (except for French greens) organic lentil prices stopped rising last fall. The premiums for organic over conventional at the retail level are far narrower than farm gate organic premiums and that is not sustainable. Spreads in markets should always, as a law of market economics, converge eventually. If this market gets oversupplied, it could be tough to find new demand. In that event, the market would most likely dry up for a period of time, similar to what has happened in the organic spelt and hempseed markets recently. Food companies aren’t in the habit of milling lentils for pulse flour as they do with organic peas, which are finding their way into more food and feed products. Nor do lentils have the potential to find new demand from organic consumers in China, as has been happening with organic peas this year. The market for organic peas feels like organic wheat — highly liquid, with lots of buyers and different uses. Offering big volumes seems to open up new demand channels rather than overwhelm the supply-demand balance. As a result, there’s likely less market downside risk next year for these two crops, if any. The same doesn’t apply to lentils. People only eat so much of them and animals almost none. They are consumed in their raw form only, limiting demand into new food applications. In the parts of the world where eating lentils is most common, not very many can afford to buy organic. Anecdotally, we know that organic lentils have been imported into Canada at a discount to domestic prices (it’s impossible to know when and how much because that data doesn’t exist publicly). 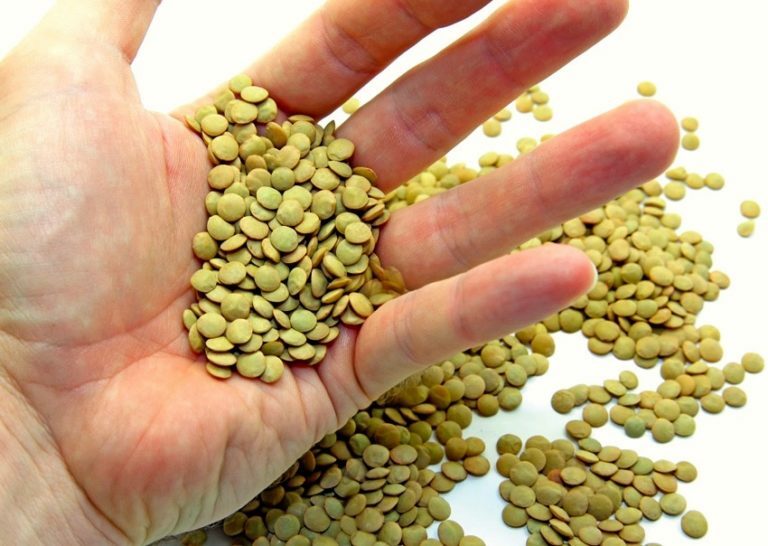 There are parcels of organic lentils being offered into Western Europe out of Eastern Europe at a steep discount to current equivalent Canadian values. It’s also possible that they could end up in North American food markets, displacing demand for local organic lentils in the same manner as imports of organic hemp recently have affected domestic prices.